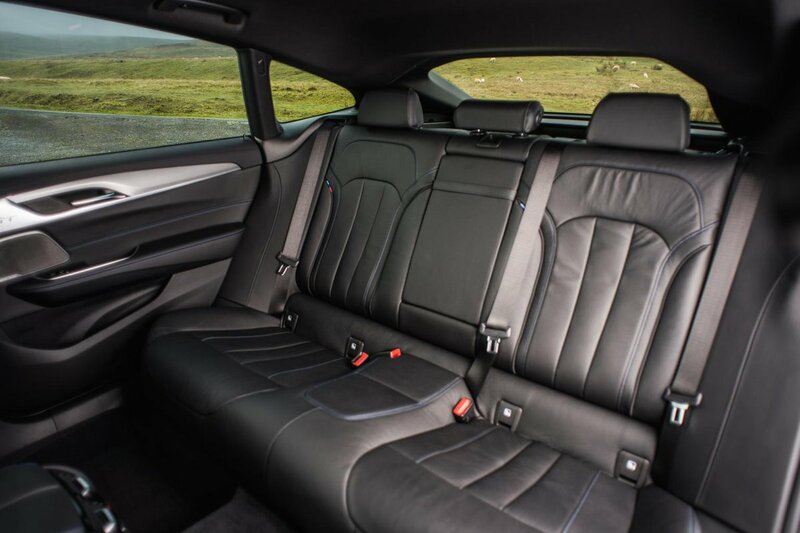 BMW 6 Series GT Boot Space, Size, Seats | What Car? 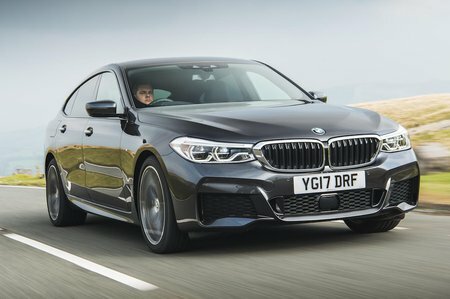 Being only just shorter overall than BMW’s 7 Series luxury car, but with the same length between its front and rear wheels, there’s an abundance of space inside the 6 Series GT. So much so that it proves way more practical than other four-door coupés such as the Mercedes-Benz CLS and Audi A7 Sportback. It would take a seriously lanky person to feel hemmed in sitting in the front seats, and a couple of six-footers will have no problem stretching out in the rear. In fact, even a third adult in the middle seat wouldn’t grumble on a long journey; there's enough head room even adding a panoramic sunroof (standard on M Sport models) doesn't put it in short supply. If you regularly carry people in the back, you might want to add electrically reclining rear seats from the options list. The boot's superb 610-litre capacity betters that of both the A7 and CLS, providing more of space for buggies or suitcases. We fitted nine carry-on suitcases inside, but if that's not enough, the rear seats fold almost flat in a practical 40/20/40 configuration to provide a lengthy extended load bay for trips to the tip. 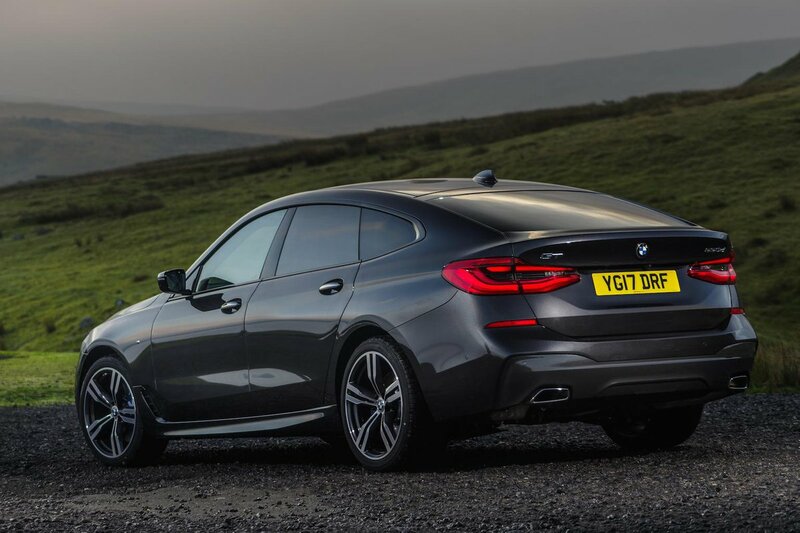 The only issue is that while the space is long and square, like its coupé-esque rivals it’s also relatively shallow in the area of that sloping hatch compared with, say, a 5 Series Touring.